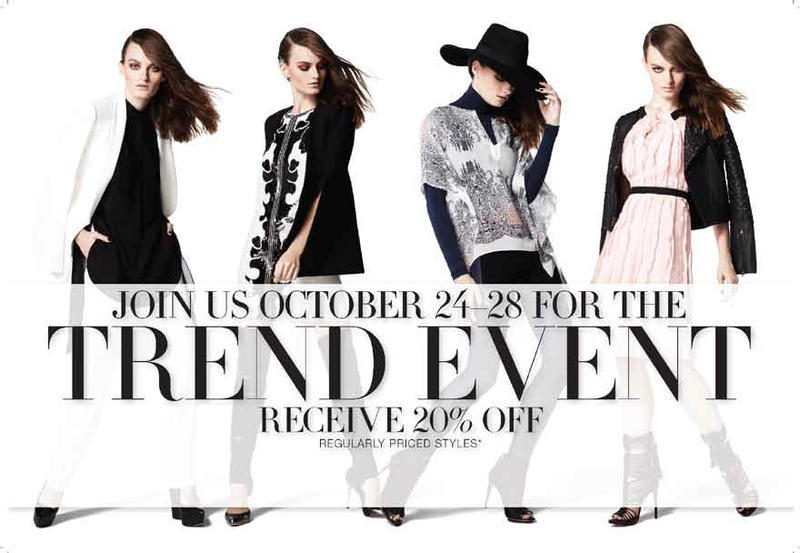 BCBG is holding a Holiday Trend Event that starts on Thursday, Oct 24th to the public, BUT Oh So Cynthia readers can join me on Wednesday, October 23d to get first dibs and SAVE 20% on all the best merchandise! Did I mention there will be champagne and tasty bites?! Le duh! We're VIP baby, that's how we roll! Come by the store inside NorthPark Center between 7-9pm to shop the pre-sale and get first dibs on your sizes. BCBG will ship you what you purchase or you can come back and pick up your purchase at your convenience. It should go without saying, but all the cool kids will be there! I hope to see you at BCBG so we can kickoff the holiday season in STYLE!